Second Nature is a long-established, award-winning landscaping company, specialising in the creation and care of professionally designed gardens. We offer a full design and build service or can work with your designer to implement your garden plan. Second Nature also provides an expert after care service that will maintain the integrity and beauty of your investment. Problem solvers – providing inspiring and practical ideas and solutions for a diverse range of styles, scales and types of sites. Design implementation from start to finish – garden construction, planting, maintenance. A well-resourced team that includes a variety of skilled tradespeople in both the construction and horticulture fields. Effective and transparent project and financial management, reporting and accountability. A proven track record that inspires confidence. References and visits to Auckland gardens that Second Nature has created, on request. 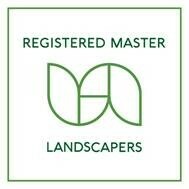 Peace of mind – we are longstanding accredited members of Landscaping New Zealand. A consultancy option where we work with your architect in terms of both landscape construction and plant advice.